Cargo thieves are getting bolder in their attempts and continue to find new and creative ways to steal in transit cargo. Fortunately smart GPS tracking devices are now available to protect your fleet vehicles and cargo whilst out in the field on deliveries. Many delivery fleet vehicles are already equipped with GPS tracking devices which allow real-time monitoring of their location and instant verification of when a delivery has been made. Fleet GPS tracking devices and container GPS tracking devices can now work in parallel to confirm deliveries and provide an extra security step to prevent theft of the shipping container by verifying the delivery was made as planned to the correct location. GPS tracking device technology is available to travel with your cargo until it reaches its destination anywhere in your country. Using global positioning and GPS tracking notification technology you can follow the progress of your cargo and will be immediately be notified if it spends too much time in one location or travels to an unplanned destination. This can be done by the tracker send out location messages at set times of the day, or at set intervals e.g. once per 6 hours, or when an event occurs e.g. the container or cargo door is opened. Or even by motion, e.g. the container moves from it’s current GPS location. In this case, motion has been detected or a change in GPS co-ordinates has been detected by the GPS tracker. Many thieves know that vehicles have GPS tracking devices but are not yet aware that they are also available for container tracking. 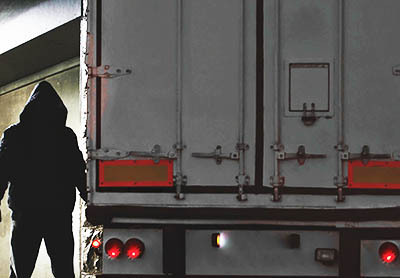 Stay ahead of high tech thieves by installing GPS tracking devices in your fleet vehicles and your shipping containers to give you added security when your cargo is in transit.